Heavy metal toxicity, caused by increasing levels of pollution in the air and in our food (e.g. certain marine fish) and the use of chemicals in industry is a growing threat to our health and development and that of our children. Heavy metals are also transferred from mother to child in utero via the placenta during pregnancy. High levels of toxic metals deposited in body tissues and in the brain, can cause significant developmental, physiological and neurological damage. The heavy metal urine test is an invaluable tool for the assessment of retention of toxic metals in the body. Toxic metals do not have any useful physiological function, adversely affect almost every organ system and disrupt the homeostasis of nutrient elements. Acute metal poisoning is rare. More common, however, is a chronic, low-level exposure to toxic metals that can result in significant retention in the body that can be associated with a vast array of adverse health effects and chronic disease. A Condensed Metal Profile tests only the six most toxic and common heavy metals, including Aluminium, Arsenic, Cadmium, Lead, Mercury and Nickel. 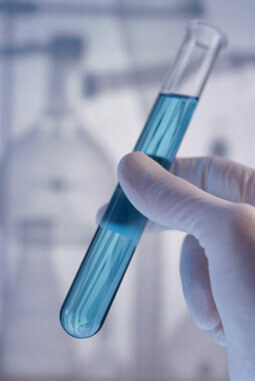 This test requires 2 urine samples collected at 2 hour intervals after having taken a specific dose of chelating agent. A Full Metal Profile tests 24 essential and toxic elements including heavy metals. It also requires 2 urine samples collected at 2 hour intervals after having taken a specific dose of chelating agent. For more detailed information on Heavy Metal testing you may download this PDF document.